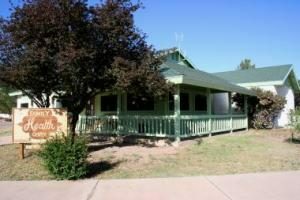 The Family Health Center in Patagonia has provided the residents of Patagonia, Sonoita, Elgin and the surrounding area with family medical care since 1977. Originally founded as a private, non-profit corporation, the Center became a satellite clinic for the Mariposa Community Health Center in 1990. Considered the heart of Patagonia, the clinic, which has five exam rooms and a procedure room, is staffed by a full-time Family Nurse Practitioner and part-time Family Physician. Additionally, for the convenience of our patients, we make daily deliveries of prescriptions from the Health Center’s full service pharmacy in Nogales.